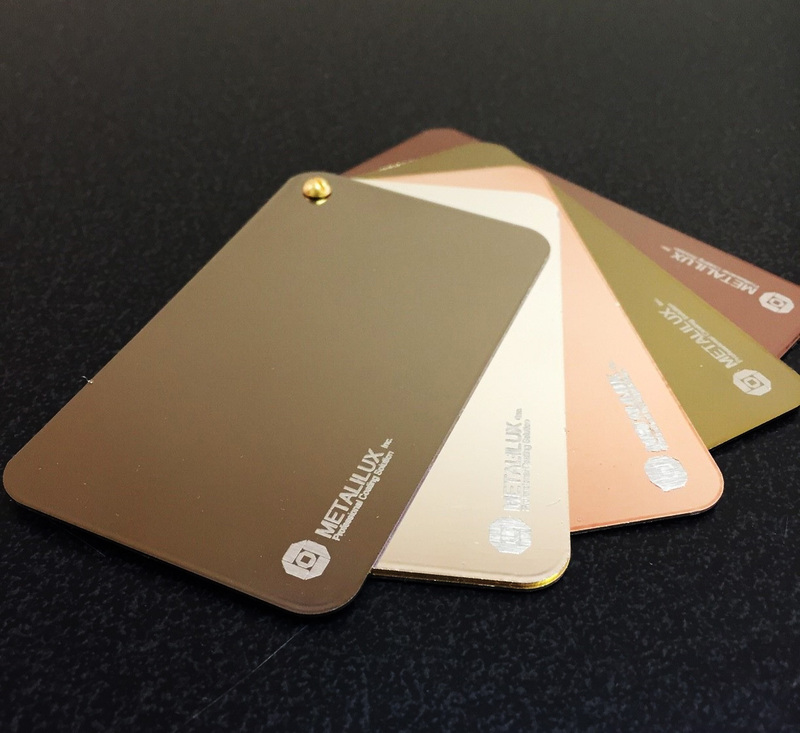 Come discover what METALILUX SURFACE COATINGS SOLUTIONS offers that other coatings can’t. Montreal (September 14, 2017) Canadian Business and PROFIT today ranked Metalilux No. 37 on the 2017 STARTUP 50 ranking of Canada’s Top New Growth Companies. Serving as a companion list to the longstanding PROFIT 500 ranking of Canada’s Fastest-Growing Companies and produced as a joint venture between Canada’s premier business and current affairs media brands, the STARTUP 50 ranks younger companies on two-year revenue growth. 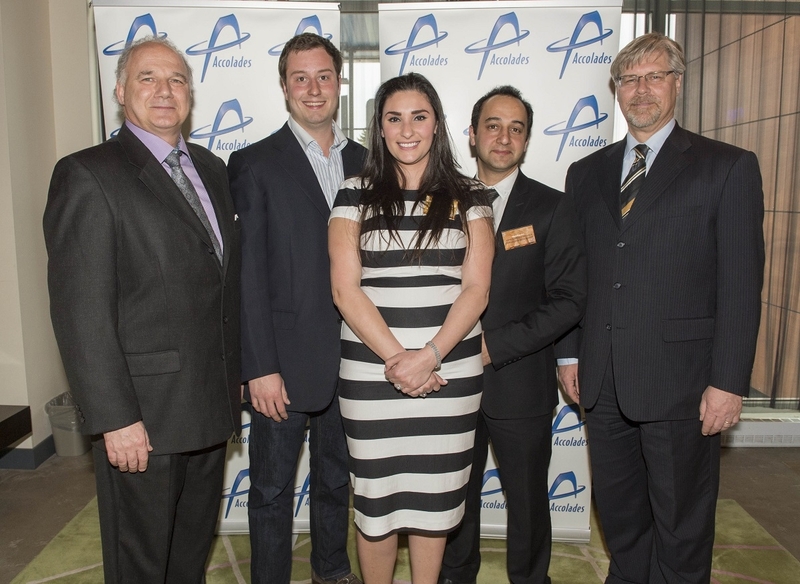 STARTUP 50 winners are profiled in the October issue of Maclean’s magazine and online at CanadianBusiness.com. 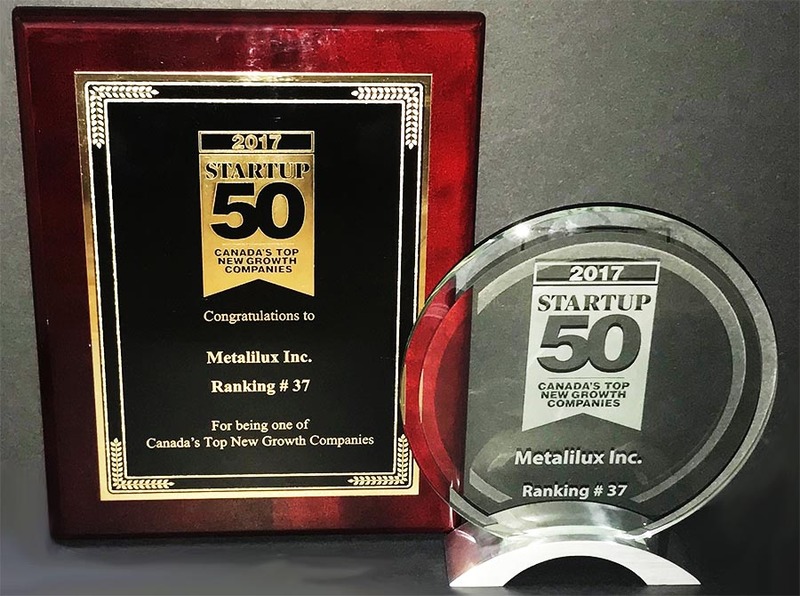 Metalilux made the 2017 STARTUP 50 list with two-year revenue growth of 406%. Founded in 2013, Metalilux strives to improve our technology and resources to provide our current and future clients exceptional service. We specialize in PVD coating. This is a thin metal coating that can be applied to almost any substrate which can enhance the product’s functional and aesthetic features. 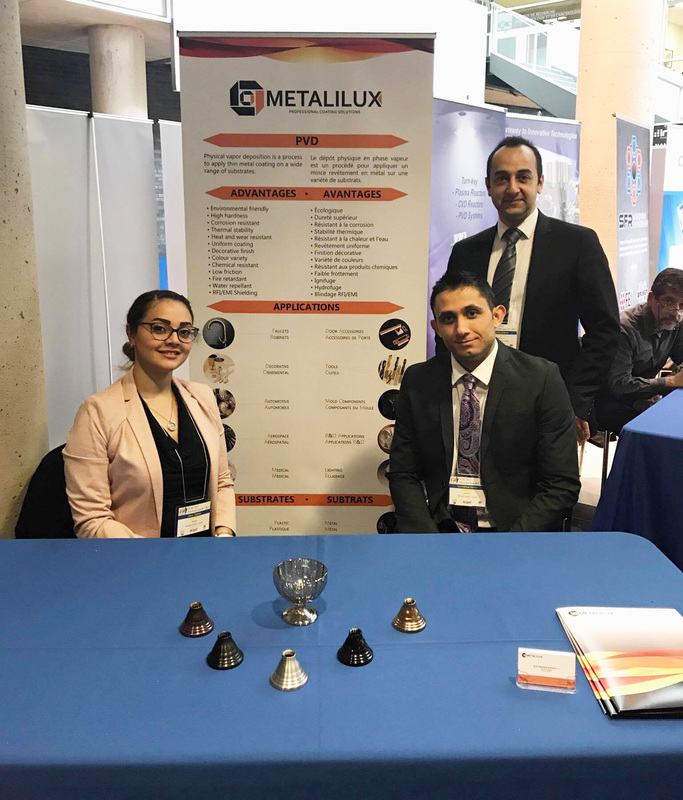 Metalilux attended the 8th edition symposium on Functional Coatings and Surface Engineering that was held in Montreal on June4-7th 2017. The symposium is organised by the Regroupement québécois sur les matériaux de pointe (Quebec Consortium of Advanced Materials – RQMP) and the St. Lawrence Chapter of the AVS Science and Technology of Materials, Interfaces in collaboration with the Society of Vacuum Coaters, and hosted by Polytechnique Montréal and Université de Montréal. The West Island business community will once again come together for a celebration of the West Island’s best and brightest.The 2014 Accolades Gala, the 29th edition of the annual business awards event, will be held June 12 at Montreal Airport Marriott In-Terminal Hotel.“The quality of the finalists bear witness to the excellence and dynamism of the businesses in our region,” said Éric Léouzon, president of the West Island Chamber of Commerce, the event’s organizer. SUSTAINABLE DEVELOPMENT Corner-Cast Construction Inc. 220 Labrosse Ave., Pointe-Claire. Steel-structured modular buildings.JJ Refinition/Baignoire Adaptée. 13121 Sunbury Rd., Pierrefonds-Roxboro. Bathroom retrofitting. Metalilux: 2371 Guenette St., St Laurent, manufactures PVD coating.